What really led me here was my quest to find real mole in London. No, not guacamole, mole, a delicious sauce made with up to 80 ingredients including chocolate and chilli, and particularly scrummy when served with chicken! Many a time I’ve scoured an uninspiring menu in a London Mexican restaurant, asked whether they serve mole and been met with a gormless expression- “Do we serve whaat?” It seems most Mexican restaurants serve Tex Mex- nachos, tortillas, enchiladas, tacos, you’ve got the picture. I was disappointed on a recent trip to Wahaca where the food still fell into that category, but Mestizo serves up all that stuff and then the real thing too. We dined on enchiladas with chicken and mole, and pato en mole de ciruela y nueces (duck with a mole sauce made with plums and nuts), washed down with a bottle of full-bodied Argentinian red. The dishes took me back to the food I’ve eaten in Mexico. The frijoles, or refried beans, were really tasty, far from warranting the abuse the food has received on Top Gear. 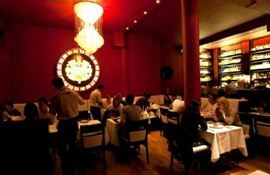 Perhaps the best test of Mestizo’s cuisine is its clientele; Alfonso Cuaron, the Mexican director behind Y Tu Mama Tambien and Harry Potter and the Prisoner of Azkaban (weird contrast there) frequents the restaurant when he’s in London, and many other natives number among the restaurant’s guests. You know it’s the real thing. 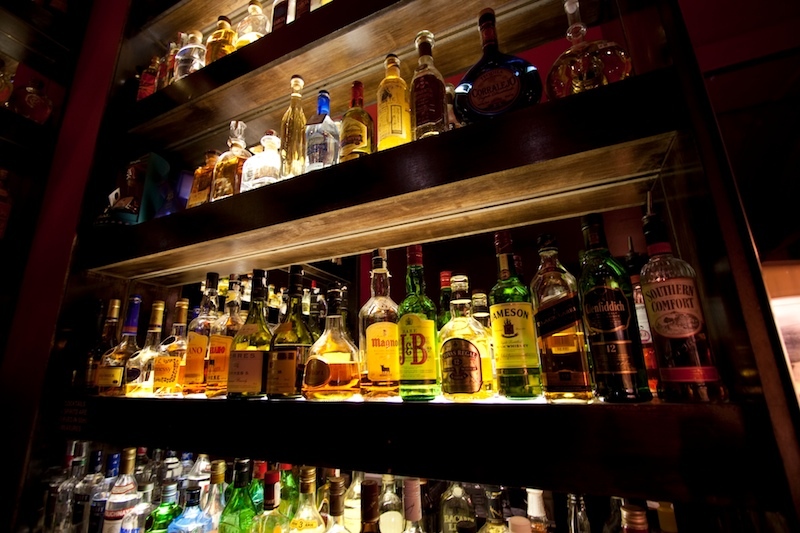 Not only is Mestizo a great Mexican restaurant but, beware, it is also a tequila bar and the establishment clearly takes pride in the variety and quality of tequilas behind the bar. Before we knew it we were faced with five free tequila shots ranging from high quality vintage stuff (called anejo, darker in colour) to what looked like paint stripper (blanco), tasted like it too, and the reposado tequila, somewhere between the two in quality. The anejo sells for £60 a shot don’t you know. More exciting were the two tasty tequilas or sangritas- one green in colour and flavoured with coriander and lime (pretty good) and the other red, with a kind of salsa flavour and resembling a shot of Bloody Mary. If you’re as obsessed by mole as I clearly am, pay Mestizo a visit from 26th October to 2nd November and check out their Festival del Mole with 12 different dishes created especially for the event. You’ll become a proper mole connoisseur!